Bring out your best blonde with the Strength Cure Best Blonde Shampoo for all shades of color-treated blonde, highlighted and lightened hair. 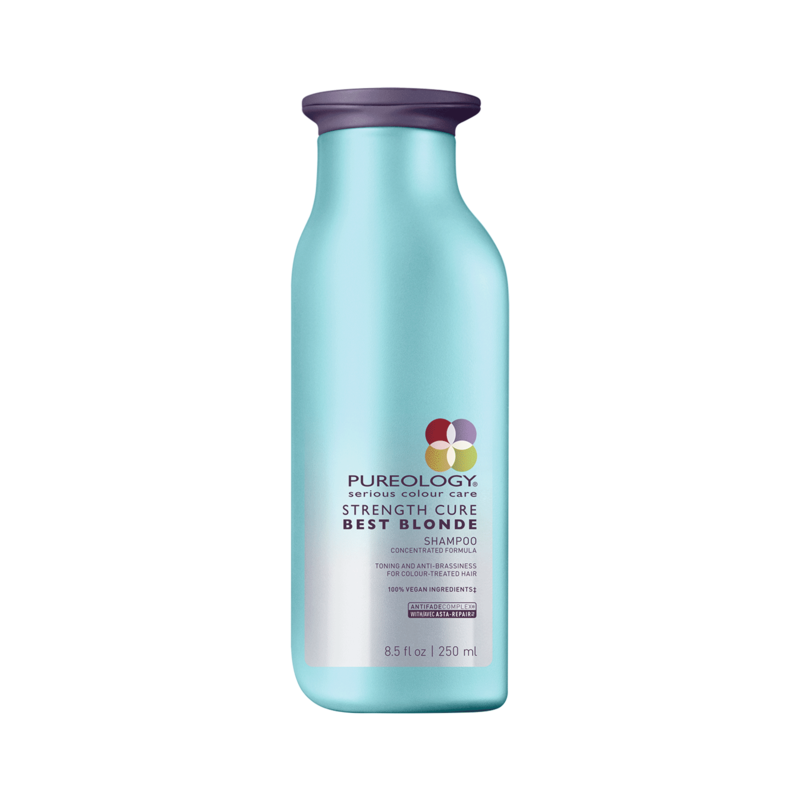 Created with violet toning properties, this sulfate-free purple shampoo helps tone blonde hair and neutralizes and brightens ashy, brassy tones. Formulated with the Strength Cure Asta Repair™, this purple shampoo also strengthens and rebuilds damaged, brittle hair while preventing dryness and further breakage for shiny, moisturized hair. Plus, our exclusive AntiFade Complex protects against heat damage and keeps highlights bright and vibrant while refreshing brassy, yellow tones. Apply a quarter-sized amount of the purple shampoo to the scalp area of wet hair and lather. Wait 1-15 minutes, (see chart below). Rinse. Repeat if necessary. Follow with Strength Cure Best Blonde Conditioner. In case of contact with eyes, rinse them immediately.